Update, September 21: Region-locking is coming to PUBG. After months of requests from fans, PUBG Corp has added region-locking to PlayerUnknown’s Battlegrounds. In the latest update to the game’s test servers, which also implemented a ranked system into the game, the developers said that players will no longer be able to choose which server they play on. Instead, your server and region will “now be decided automatically depending on the player’s local region.” If you happen to be playing in a duo or squad with someone from a different region, “matchmaking will automatically decide the best region to play on.” Presumably, that will be based on average ping in each different region. PUBG has had a slightly fraught issue with region-locking in the past. Brendan ‘PlayerUnknown’ Greene previously said that the practice, which would attempt to limit players to playing solely in their local region “just doesn’t work.” That was in response to player complaints about Chinese players in particular, many of whom played on NA servers, and were reportedly responsible for “the vast majority” of in-game cheating. Since then, it seems, the developers have changed their mind. 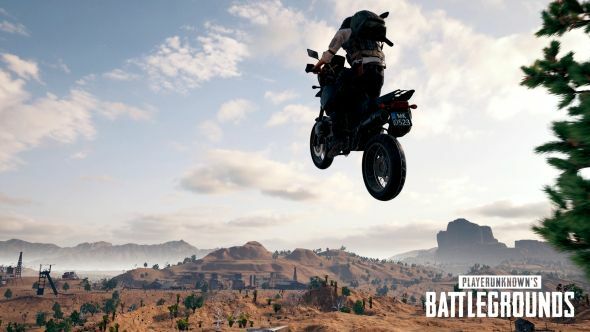 You can read about the region locks, as well as the new PUBG ranked mode, in the game’s latest patch notes. Given that the two points are next to one another, I’d suggest the ranked mode is largely responsible for the region-locking. Not only do most competitive online games have separate ladders for different regions, but it’s also not a good look to have your ranked experience ruined by other players who are running around with several hundred ping. When we spoke to Brendan Greene at the PUBG Global Invitational earlier this year, he said that “I’ve said this before but region locks aren’t hugely effective. There is tech out there that allows you to bypass and we would rather look at preventing those bad seeds from playing than locking regions from playing with each other.” Clearly the developers have changed their mind since then. The change could also have something to do with rumours that PUBG is coming to PS4. The Korean Ratings Board classified the game’s release on Sony’s console earlier this week, although there’s no official word at this point. Region locks will arrive when the current patch makes its way to the live servers in the next couple of weeks.